Please enjoy this box review of the 1/35 Citroën Méhari released last September by Balaton Modell, the Hungarian manufacturer who provided this model as a gift for my last order. I like this brand; they have an original catalog both in 1/35 and 1/72 scale and some cool figures. The vehicle is made of 50 parts cast in a grey resin, completed with a photo etched set, a transparent plastic part for the windshield, colored optics and a copper wire. The proportions seem good although I have not checked their accuracy for exactness. The molding is good and the details are according to my memories (I took my driving lessons on this venerable lady in the French army in the 80s). The characteristic suspension of this vehicle is well represented, as well as the dashboard, front and rear seats. No engine is included in this offering and the hood will remain closed. 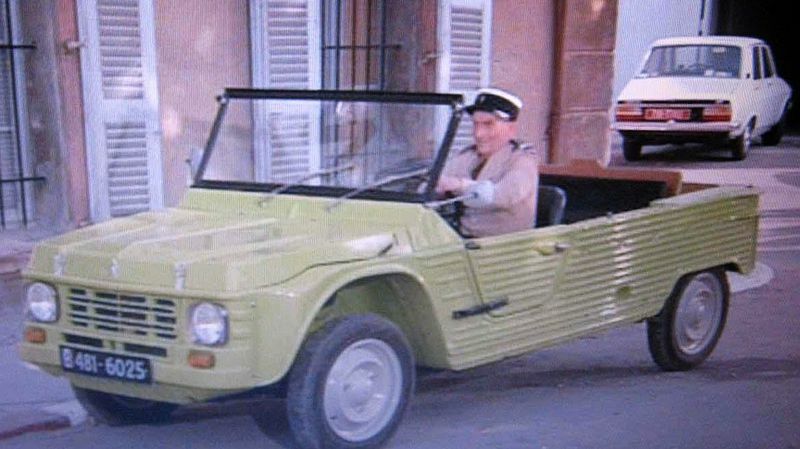 I will have to check if the shape of the lights of the Mehari is that of the Gendarmerie version. The figure lacks details but nothing dramatic. We recognize all too well the face of French iconic actor Louis de Funès. Note that the visor of the cap is on the PE set, such as the closing tab of the of the Mac 50 pistol holster; the “epaulettes” are also on the PE set. The photographs cover the model parts and instructions. This will be one of Jean-Louis Durand’s first builds of 2019 ! Jean-Louis Durand takes a look at the Citroën Méhari in 1/35th scale from Balaton Modell. Copyright ©2019 text by Jean-Louis [ JLDURAND ]. Images also by copyright holder unless otherwise noted. Opinions expressed are those of the author(s) and not necessarily those of AeroScale. All rights reserved. I too already bought this kit, just such a cool topic! The only minus I see is that all my wheels, as well as all yours, and as well as the pics on the balaton site, show some superfluous resin on the inside of the rim in the exact same place. It seems rather early on in the casting a piece of rubber came away and they use this as a master for casting further wheels or something like that. A shame and actually quite hard to remove totally correctly. Otherwise a real gem imho. The captain of my company had the same one when I was in the french Army !